THE West Belfast community are throwing their weight behind a local gym owner’s powerful effort to install defibrillators throughout the area. Proprietor of Kennedy Way’s Zenith gym, Niall Greenan, is aiming to raise funds to be able to “pepper the defibrillators throughout the local community” following the tragic loss of his father in March 2016. 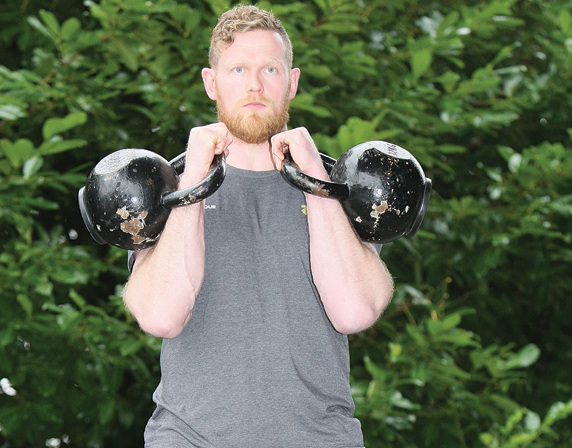 Niall revealed his gruelling plan for an unusual festive fundraiser – carrying ten stone in kettle bell weights up Cave Hill on December 2.